I Left My Heart in Venice. Brittany is off traveling through Europe, she is in Switzerland right now so I will be updating posts with pictures that she is taking along the way! 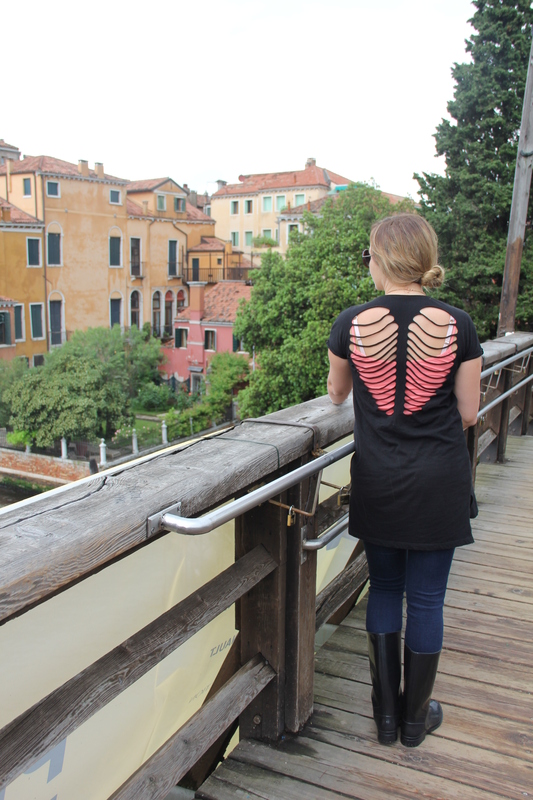 She busted out this awesome t-shirt while she was in Italy! Sometimes the best parts of a simple piece of clothing are the details that set it apart! This is the finest coverage I’ve ever seen of Italy and it’s ways. I am totally captivated by all the little things that you bring out about traveling in Italy. I can’t imagine the two of you going separate ways!